It was quickly becoming apparent that if I wanted to achieve my five game Honeymoon plan, I was going to need a good slice of luck, not strictly from a matrimonial point of view, but from a weather point of view. The weather on Wednesday and Thursday had been very indifferent, but ultimately it continued to be wet. 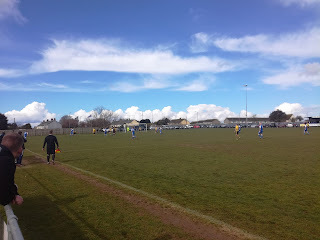 My Friday plan had some variables within it, but for it to work to its best effect I needed the 11am kick-off at Helston Athletic to be on. The game on the previous Tuesday had been called off, and I was half expecting to be having to travel further afield, possibly Penzance, but once again the Peninsula League, its clubs, and Twitter came up trumps, the local derby against Falmouth Town was very much on. 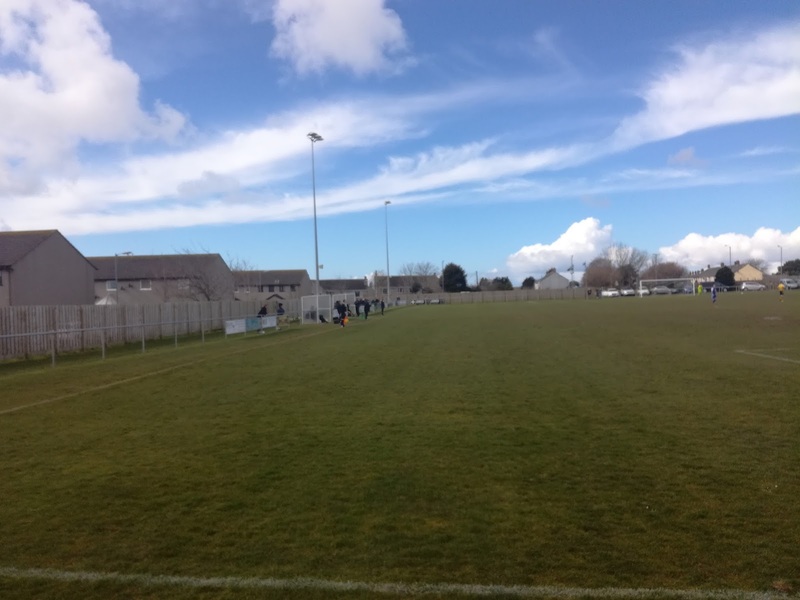 Helston is a sizable town in Cornwall, just under 12,000 call it home, and that compares well with the likes of Penzance, Bodmin, Launceston and Redruth, but up until recently, it wasn’t a particularly big name on the footballing front. A South Western League side in the Fifties and Sixties, they eventually dropped a level into the Cornwall Combination where they had mixed success until the Noughties when some consistent highly placed finishes culminated in the championship at the end of the 2010-11 season. 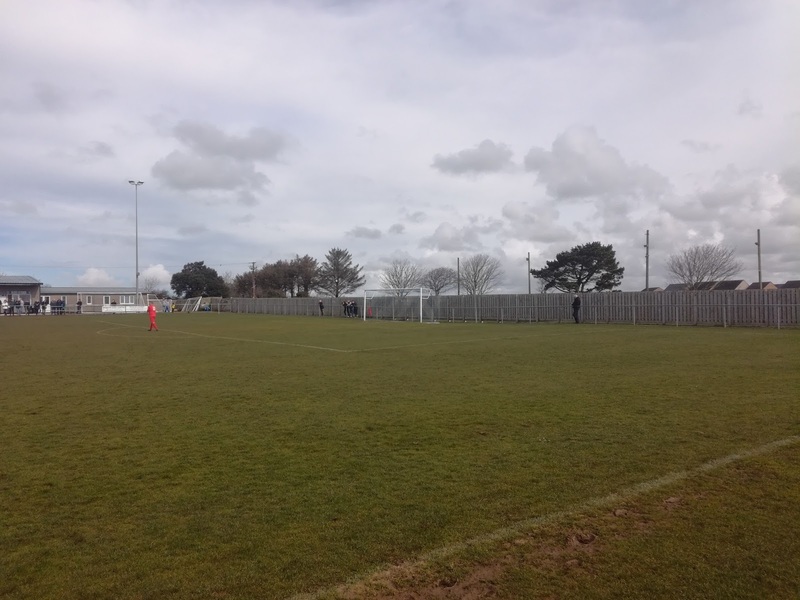 The next port of call was of course the South West Peninsula League, and in four seasons they finished runners-up twice, third and finally first in 2014-15, which in turn lead to promotion and Step 6 football. Helston Athletic had officially become the most westerly team in the top six tiers of the English non-league pyramid. Located West of both Falmouth and Truro, it was a short fifteen minute drive from base camp to the neatly appointed Kellaway Park ground which sits just off the ring road. Driving in through the gate and past the chaps collecting admission, we were fortunate to get one of the remaining parking spaces in the ground. Kellaway Park is like Poltair Park, very much a ground where all of the facilities are down one side. 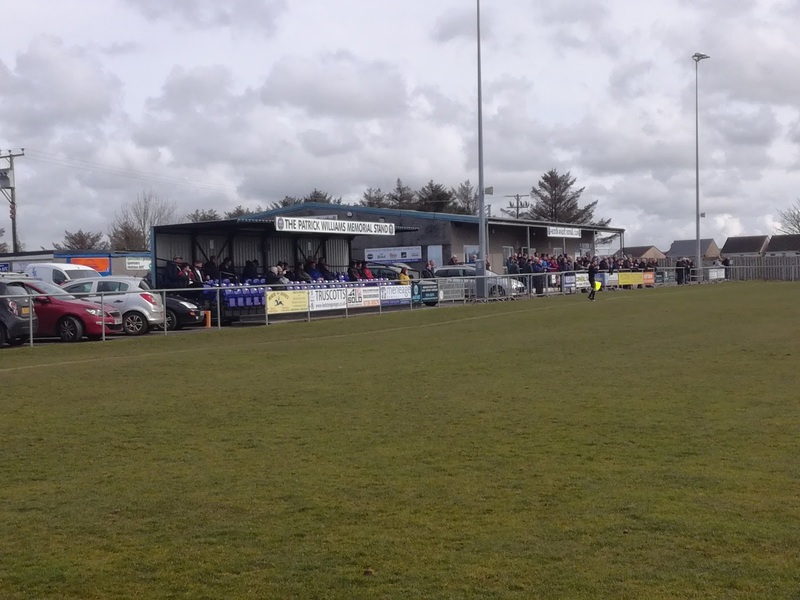 A modern stand sits just to the West of the half way line, while the large clubhouse and dressing room complex stands next to it and runs all the way up to the East corner. Hard standing is limited to just two sides of the ground, while it’s fully enclosed and as you would expect at Step 6, it has floodlights. It did the job, and with a decent crowd expected for the local derby, the bar and the tea bar were doing a brisk trade, and it was while I was ambling out from the bar that I bumped into my old pal from the East Midlands, Rob Hornby, who was cramming in a good number of games on his two week holiday in the Duchy. Visiting team Falmouth Town, now talk to any Belper Town fan of a certain age about the day we played at Falmouth and they’ll go misty eyed on you. To this day, the FA Vase Fifth Round tie at Bickland Park in February 1995, is the best football match I’ve ever been to. Not just for the fact we won 5-1 against a fancied side, in front of a vociferous home crowd, but also because of the event itself. Slightly Less Boggy Bit - But Still Quite Boggy! Travelling down the day before with the players and officials, staying at the Greenbank Hotel, the hospitality from Falmouth Town Football Club, our large travelling support setting off at 5am, the outstanding performance and of course the joyous but long journey back that night. Memories that will never be forgotten, and something that is unlikely to be repeated. 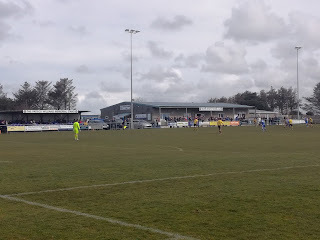 Since that day, neither myself nor Mrs H (she was also at the game in 1995), have never seen Falmouth Town play, so I’m sorry Helston, I’m afraid to say we were Falmouth fans for the day, apologies, it was nothing personal! Helston sat in mid-table before the game, while Falmouth knew a win would take them into the top three. 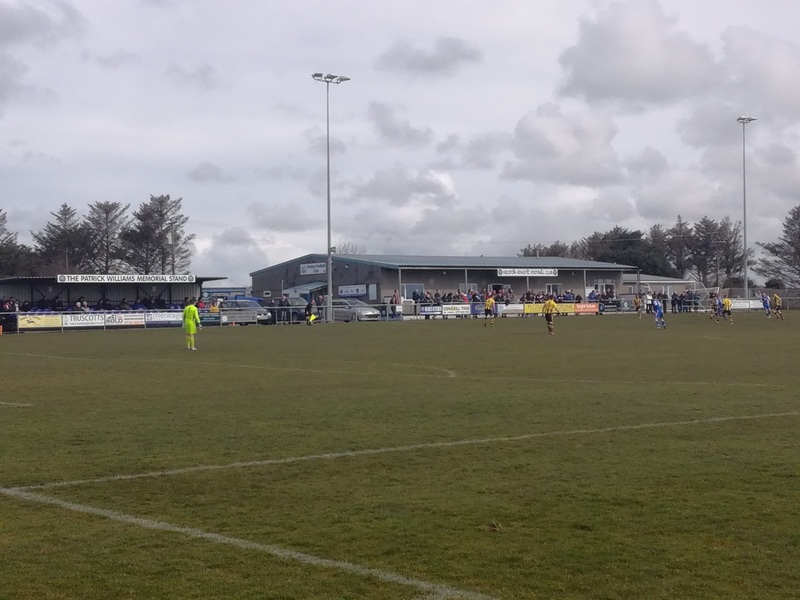 A crowd of 179 assembled to see an entertaining game on a pitch that was certainly heavy in places, and to be fair it was the visitors who started the brighter and it came as no surprise when Rob Wearne opening the scoring after 30 minutes. This coming just a minute after Marcello Jones saw his weak penalty, awarded for handball, saved by Helston goalkeeper Barrie Wyatt. David Broglino doubled the lead ten minutes into the second period, and from that point onwards the outcome was never really in any doubt. Helston battled hard throughout the game and despite putting plenty of the ball into the Falmouth penalty area, they couldn’t find the finish to breach the visitors defences. Another entertaining game, another great club in Helston Athletic, and another good advert for the league, Furthermore, you have to give a big hand to the hosts for getting the game on in what have been incredibly challenging circumstances, especially in this part of the World. 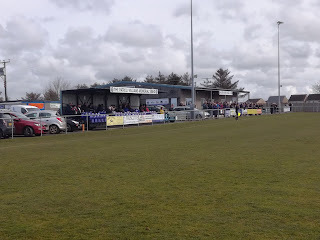 The A394 Derby had gone the way of the men in yellow and black, and along with their merry band of fans, we headed back East, the day was not over yet…..